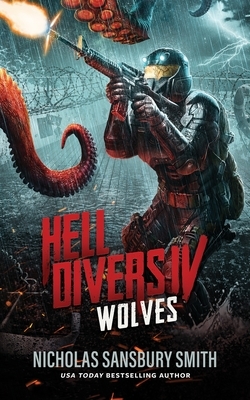 In the fourth installment of the award-winning and USA Today bestselling Hell Divers series, the Sea Wolf sets out to search for the Metal Islands. Leading the expedition is legendary Hell Diver Xavier Rodriguez. After enduring for a decade on the poisoned surface, his survival skills will be put to the test on the dangerous open seas. But storms, sea monsters, and the cannibalistic Cazadores aren't the only threat to X and his small crew. Their mission will uncover hard truths about the history of the war that left humankind stranded in the air for centuries. And the fate of those still living on the airships might very well rest on this fragile and perilous journey to find a new home.